The first performance of Moot for orchestra & piano, six hands, on Saturday 28th June went well, I’m pleased to report! In the last few rehearsals before the concert the orchestra started to show signs of ‘getting’ the piece, and the addition of the three percussionists, tuba, harp and – of course – the three pianists, brought the piece alive and helped to reveal it in all its chaotic and overcrowded glory (!). The acoustic in the venue swallowed the strings, unfortunately, so the brass and percussion did dominate at times, and the piano was not a full-size grand so this also suffered in terms of balance, occasionally. However, the overall impact was there and I was really pleased with the convincing performance and the gutsy outcome. Click on the link to read a review which has appeared on the Classical Sheffield website, written by Ben Gaunt: http://www.classicalsheffield.org.uk/reviews/28-june-2014-endcliffe-orchestra-victoria-hall-methodist-church An audio and video recording was made and will be available in time… If you know any amateur or youth orchestras that may be interested to perform ‘Moot’; point them in my general direction! I met with Lucie Lee this week http://www.lucieleedancecompany.org.uk to discuss a pilot project combining dance and music with digital visual media to create an interactive performance. 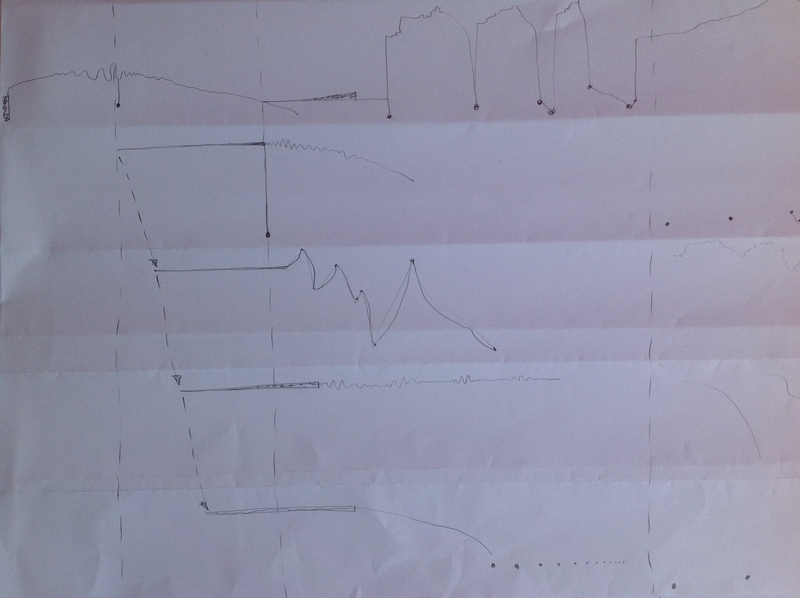 We are beginning the collaboration with some exploratory workshops and will show the results in a short performance on Friday 22nd August at Cafe Ollo, Huddersfield. For more details, and to keep up to date, follow Lucie’s blog: http://lucieleedanceco.tumblr.com Platform 4 will be performing a short programme at the same event, which will include Tom Owen’s Prowl Routine. Friday 3rd October (winds): Stravinsky – Symphonies of Wind Instruments; Varese – Octandre; Pousseur – La Deuxieme Apothéose de Rameau; Bach – something arr. Tom Owen; and a new work by Tom James. 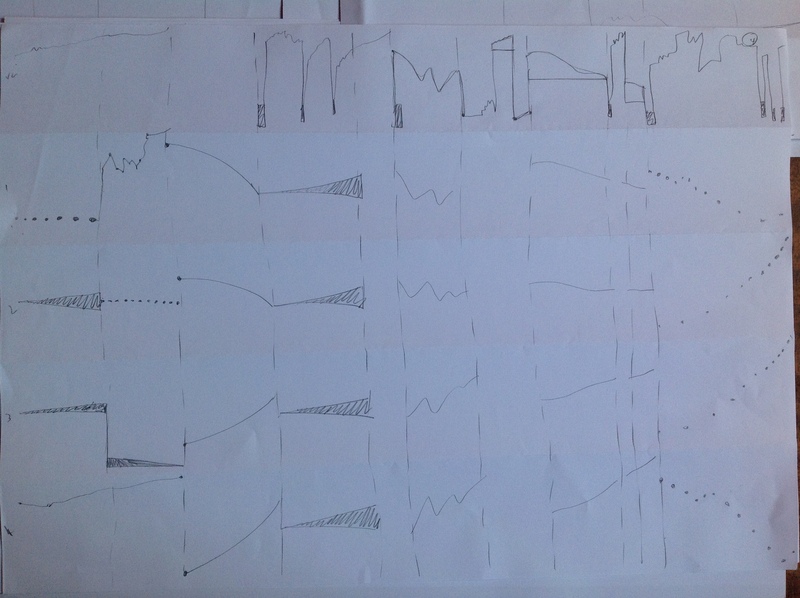 Saturday 4th October (strings): Ligeti – Ramifications; Ives arr. Tom Davies – 3 Quarter Tone pieces for piano (arr. for strings); Corelli? – some manner of Baroque ‘sorbet’; and new works by Chris Noble and myself. Both concerts are at the Wesley Hall, Sheffield S10 1UD.